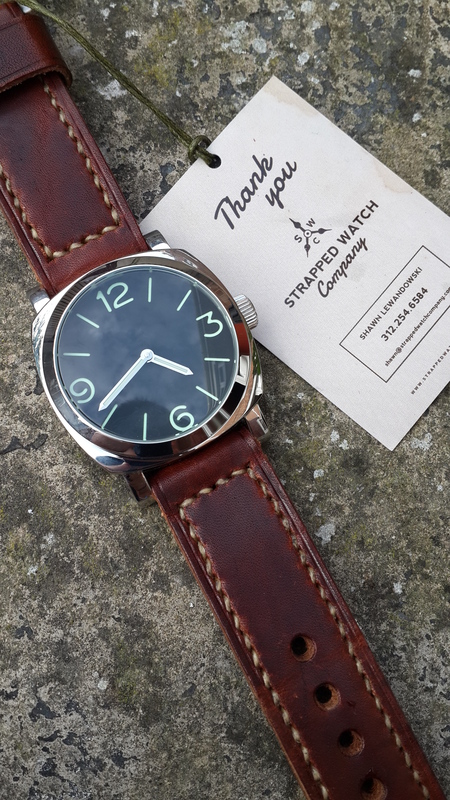 #Strapsmakethwatch – A Quick Look at Straps from Strapped Watch Co.
First of all, I would like to thank Shawn, the founder and owner of Strapped Watch Company for participating in one of our first reviews in our new review segment! Shawn was generous enough to have sent us 2 straps exclusively for this review. You ready #watchfam? Here we go. Shawn is a cool guy I must say, and a fussy fella as well, but for all the right reasons! (details, details..) And damn, how in the world did I miss out on his straps? Anyway, here’s a little background story about Shawn, and Strapped Watch Co in general. So basically Shawn sent us the Blue Nubuck and Chestnut Dublin, which I presume it to be ‘the official strap’ of Strapped Watch Co.
Non-tapered, 3-3.5mm thick, waxed threading, genuine Horween leather, plus you get to choose your choice of screw-in buckle and the lug size of your watch ranging from 20mm – 26mm. 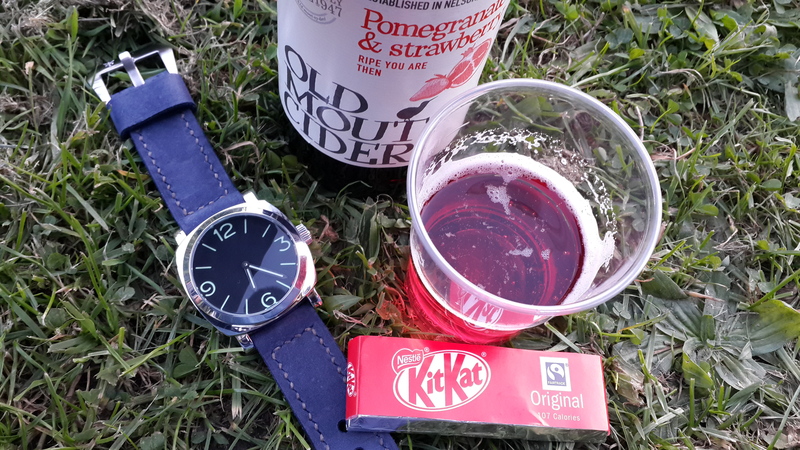 Nothing much to say here, Strapped Watch Co’s product designs are quite generic in my opinion, noting really out of the ordinary design-wise, but what really stood out for me was the quality of the straps, which we will be discussing in the following column. The quality of the product pretty much speaks for itself. That being said, the simple look of the Nubuck leather strap looks absolutely gorgeous. So no room for complaints here. The quality of the strap is just absolutely top-notch, nothing much to elaborate here, all I can say is the strap is very meticulously made. 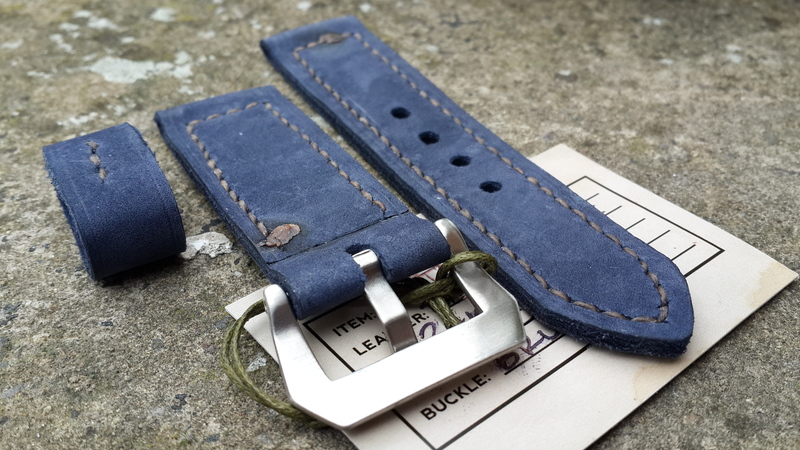 The first thing you will notice about the Nubuck leather strap is the softness of the material itself, the one thing that came to mind was how long would it take for the leather to break in nicely? The answer is NONE! This is due to the fact that the leather is just, soft, therefore no breaking in is required. 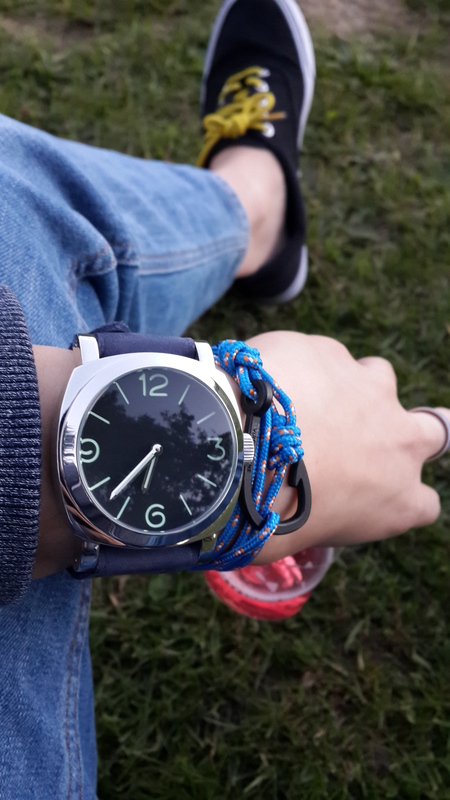 The Nubuck leather also shows a very nice suede-like feel to it, which feels exceptionally comfortable when worn on the wrist. Clearly nobody likes a strap with shambolic characteristics, like loose ends on the stitching etc. That being said, I am very pleased to say that the stitching on this strap is perfectly done. It also satisfies my OCD for some reason! (jokes) What I meant to say was the stitching is immaculate, the knots are evenly severed and there were no loose ends as you can see in the photos. I also particularly like the finishing touch of the logo signature on the buckle, this goes on to show how much attention to detail actually goes into making these straps. Well done, Shawn! Absolutely love your meticulousness in this area. 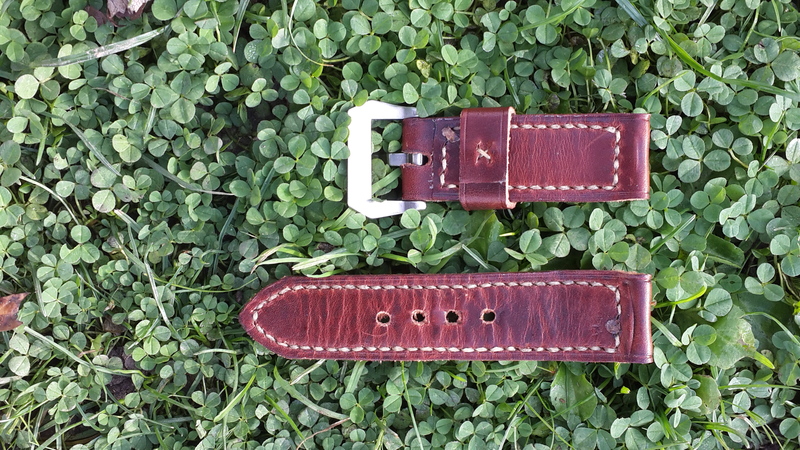 $85 – In my opinion, one of the best strap options in the market, with the quality it offers and such a price point, it is definitely an option which is tough to beat. 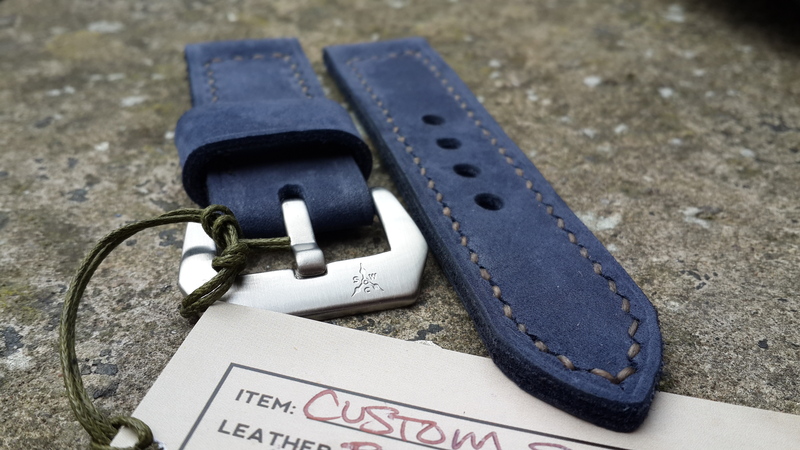 Pretty standard and similar to the Blue Nubuck, non-tapered, 4mm thick, waxed threading, genuine Horween leather, plus you get to choose your choice of screw-in buckle and the lug size of your watch ranging from 20mm – 26mm. The overall look of the Chestnut Dublin is simply alluring to the naked eye, it has this seemingly oily-buttery smooth texture to it. Bottom line for this particular strap is that it is just simply visually pleasing. I can only imagine how good it will eventually get over time as it gradually ages to attain a distressed look. 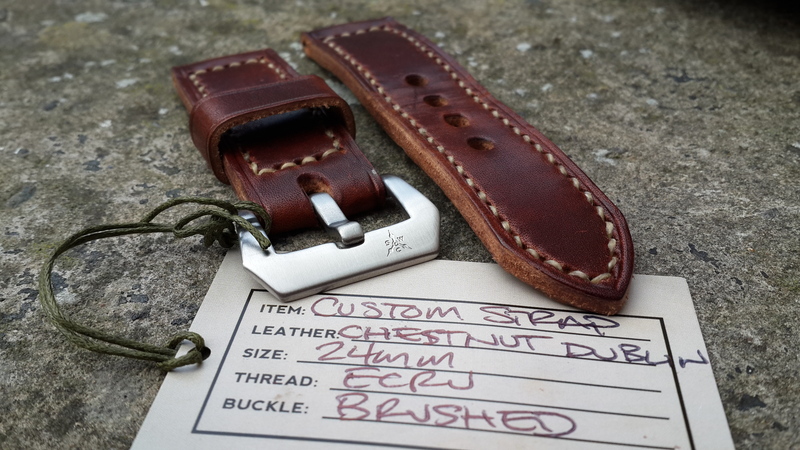 Once again, like every SWC product, all straps are handcrafted with sublime quality, and this Chestnut Dublin is no different than the rest. At first, the chunkiness and stiffness of the strap really annoyed me. 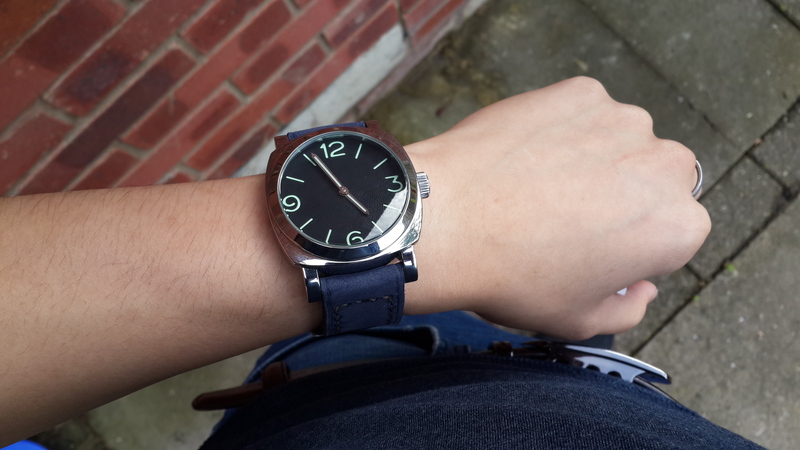 But then again it would be prejudicial to say that because I am fully aware that there are many people and enthusiasts out there who would prefer a stiff chunky leather strap for their Panerai(s) (or any other similar watches of the sort). The leather is stiff, but solid. Comfort is not really an issue here actually, although I did experienced some difficulty wearing it for the first few times, but I suppose the stiffness would subside as the leather breaks in over time. Although I would prefer it to be a tad bit softer and more flexible, but I do see the appeal, it is definitely one of the nicer looking straps out there in this price bracket. Once again, I cannot stress any further on Shawn’s impeccable attention to detail. 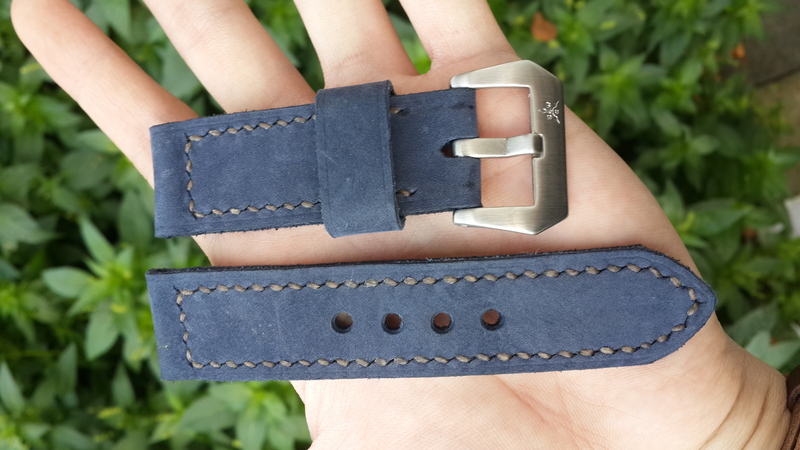 Not much to be said here, the quality of the details on the strap pretty much resembles the Blue Nubuck leather as discussed above. The Chestnut Dublin retails at a relatively affordable price of $95. 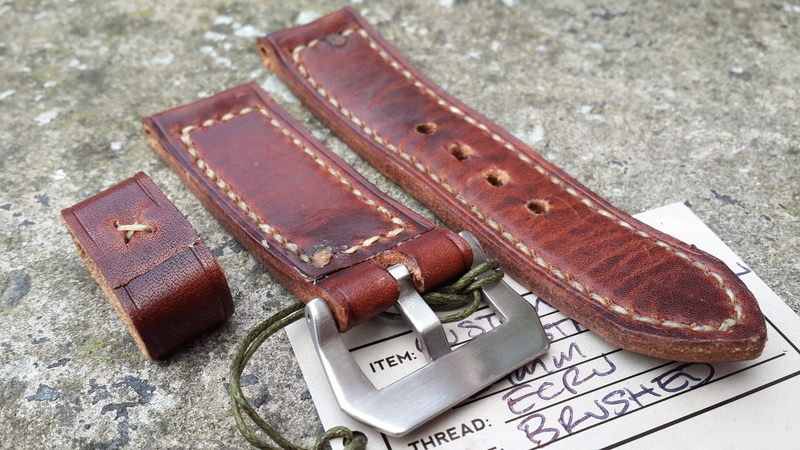 Fair price I must say considering the level of craftmanship that goes into this strap. 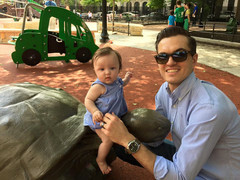 We wish Shawn all the best in his future endeavors and in continuance of his amazing craft for watch enthusiasts all around the globe. Seriously, the watch world needs more strapmakers like you!